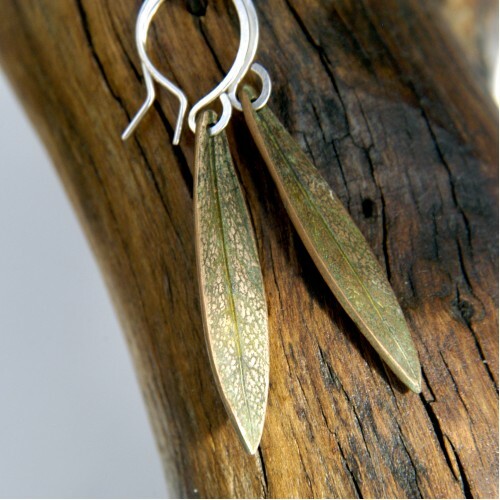 I like to finish my pieces in different ways and these are gorgeous! 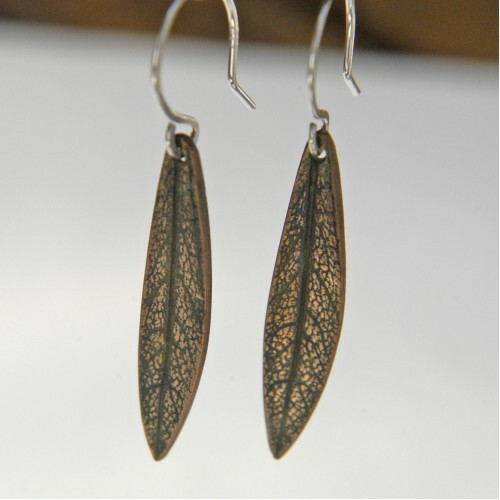 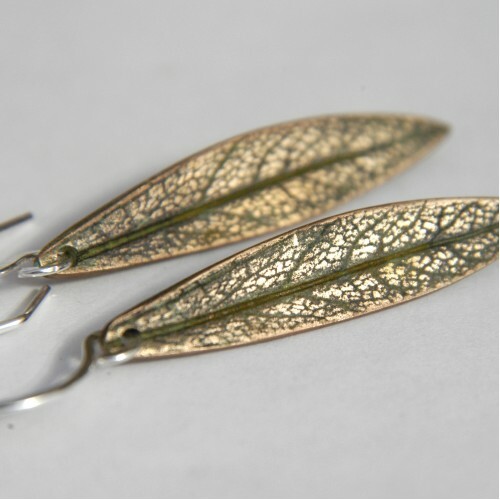 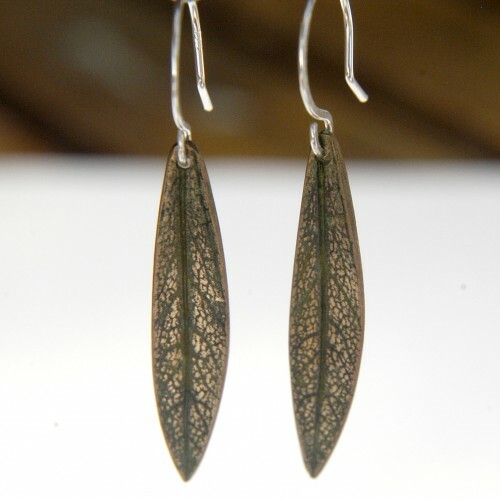 Beautiful leaves handmade in bronze which I have then added a dark green patina and then filed back so that the colour stays in the detail and shows all the amazing veins of the leaf... Measure: 5.5cm. Sterling hooks.